This article is 595 days old. With summer almost done, one sporting group is already preparing for their upcoming season. 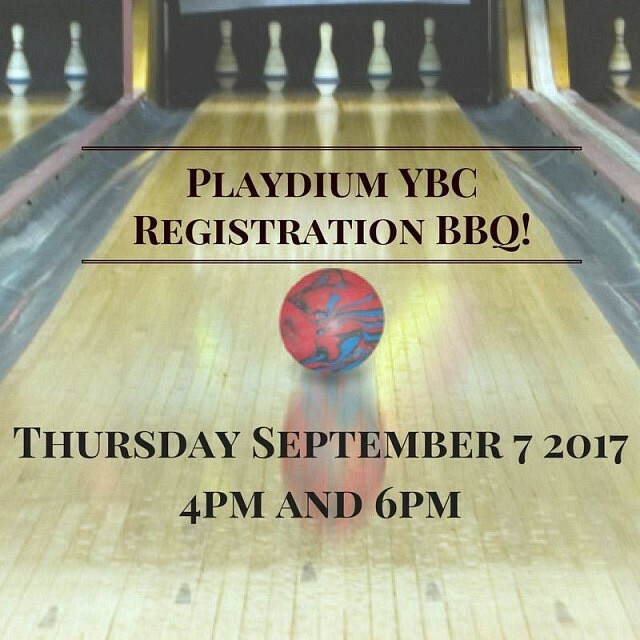 Taking place on Thursday, September 7th, Playdium 5 pin Lanes (located at 4985 Wyandotte Street) is holding a Youth Bowl Canada (YBC) registration event. Parents interested in enrolling their kids can do so during two separate hour-long sessions at 4pm and 6pm that day: Both will include free bowling and a barbecue. First-time bowlers can also enter a draw to win free YBC registration this season. It’s just one of many ways the sport is a good alternative to other leagues. Starting on Saturday, September 9, Bowling is available for youth ages 3-19. Bowlasaurus groups together children between three and five-years-old. Playing one game for $4.50 a week, shifts are either at 9:30 or 11:15am on Saturdays. Peewee (ages 6-7) bowl two games for $8 a week with shifts at the same times. Bantam includes youth ages 8-10 at a cost of $10 for three games a week: While their shifts are during the same time as the previous two divisions, this group can also bowl on Sundays at 6:15 pm. Junior bowlers (ages 11-14) bowl three games for $10 and shifts are on Saturdays at 11:15amor Sundays at 6:15pm. Senior bowlers (ages 14-19) get the same value but can only bowl at 6:15pm on Sundays. Although the season lasts until the spring, a lot is planned to keep it fun for those who sign up. Despite a registration fee of $25 and shirt fee of $20, those signing up can get a $10 coupon at Bowl Ontario 5 Pin. People attending the registration barbecue are asked to rsvp at Playdium’s facebook page. Those who are interested but can’t make it on September 7th an still register online by using this form. Late registrations will also be accepted if room is still available.